Our goal was to have Pre K students create bucket filler messages to help our class, school, families, and community. We want to live out our messages to make the world a better place. Click on this link to hear how we will live out our bucket filler message. We have the message in 8 different languages - Samoan, Chuukese, Japanese, Mandarin, English, Hawaiian, Marshallese, and Ilokano. 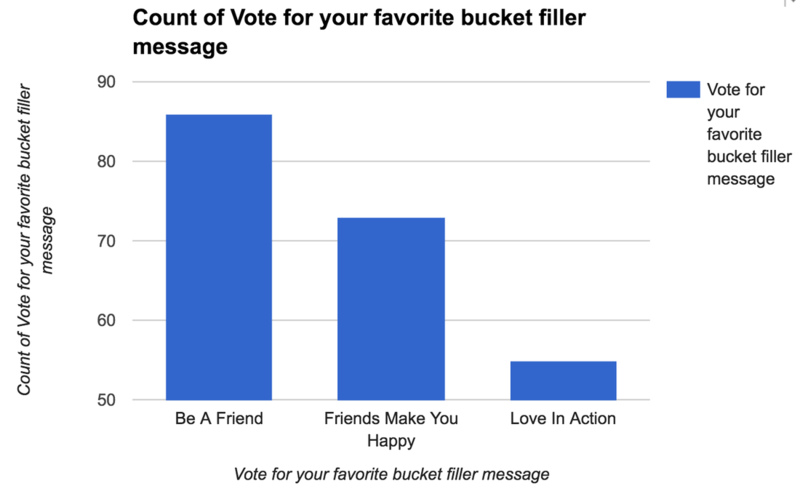 Thank you for helping us decide which bucket filler message to use. There were 219 votes.